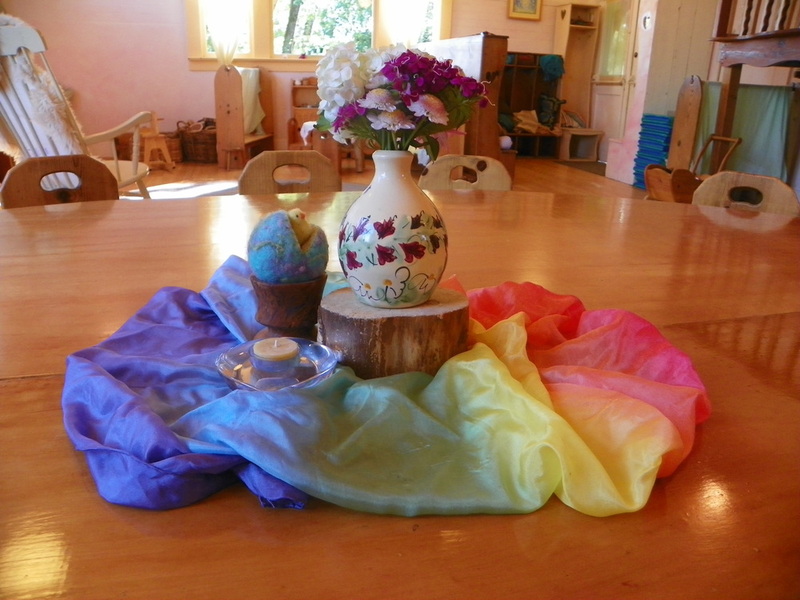 The Waldorf School of Mendocino's Early Childhood program fosters the development of the whole child by design. Each classroom is warm, inviting, orderly, and intentionally filled with beautiful, natural materials—wood, seashells, and beeswax—for making dolls and toys. These organic elements encourage children to create their own games and stories, while nourishing their minds and senses. 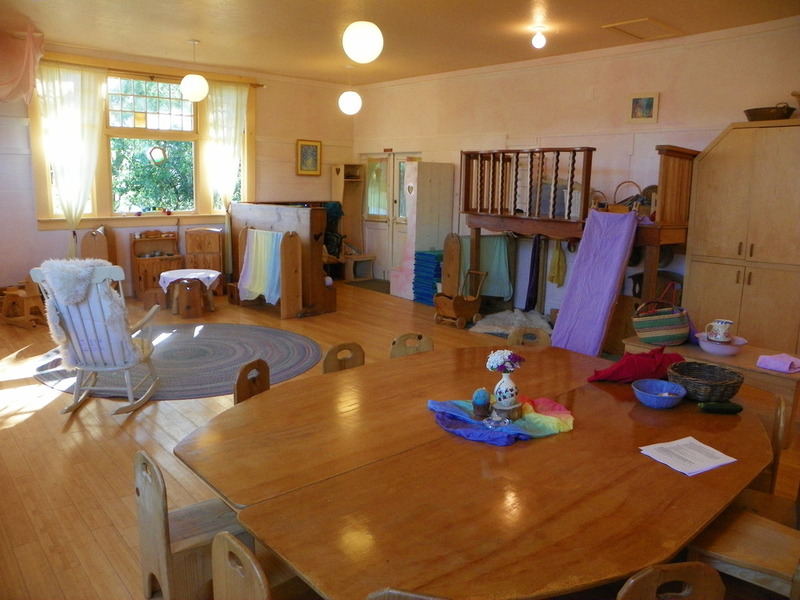 The Early Childhood room is a gentle place where children can imagine freely, while feeling safe and comfortable. The structured and supported use of play in our Early Childhood program lays a strong foundation for your child's future academic success. In play, children develop their creative thinking, problem solving, and social skills through their imaginative interactions and in teacher directed activities. The children listen to fairy tales and folktales, they watch puppet plays, and they engage in dramatic play—all of which strengthens their powers of memory, comprehension, and imagination. Stories, songs, and nursery rhymes told in class also inspire their love of language and of learning. The children play counting games and perform rhythmic activities. They help bake bread, cook other simple dishes, and set the table, all of which provide the basis for learning mathematics, sequencing, and number skills. Children learn about the physical world through activities that develop fine and gross motor skills, and through imitative play. These pursuits prepare them for a wide range of subject study: sciences, arts and humanities. Child play outdoors year round, rain or shine. All learning activities in the Early Childhood program follow daily and seasonal rhythms that connect the children to the world around them and instill a sense of gratitude and reverence for nature. — Rudolf Steiner from "The Child's Changing Consciousness"